Score and Parts. By The Canadian Brass. By Johann Sebastian Bach (1685-1750). Arranged by Arthur Frackenpohl. Brass Ensemble. Baroque, Classical. Full Score and Parts. Published by Hal Leonard (HL.50488553). Transcribed for brass quintet by Arthur Frackenpohl. 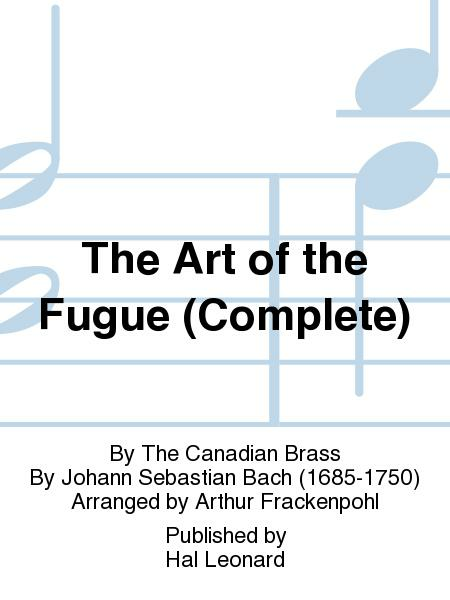 Recorded on the CBS Masterworks release The Art of the Fugue. difficult performance than printed music, but it is playable. Frackenpohl marks all of the fugue subjects and partial subjects to facilitate performance as well. 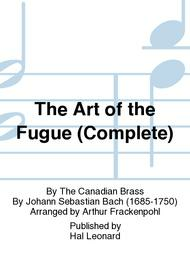 Complete score as well as all parts (in book form for each instrument) is included. Most of the 1st trumpet book is in Eb / Bb piccolo. 20 of 34 people found this review helpful.